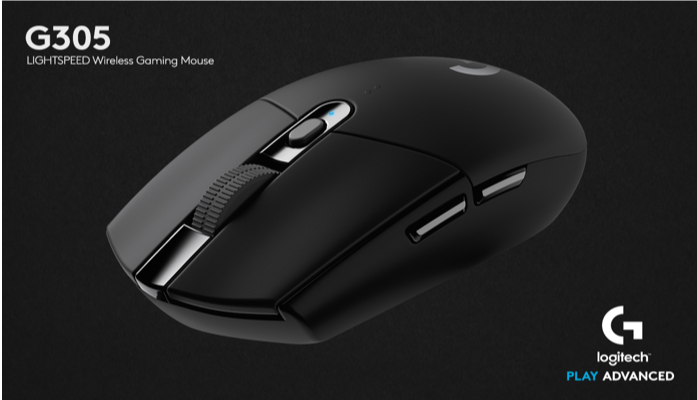 The G305 uses Logitech G’s exclusive LIGHTSPEED wireless technology for a gaming experience that’s faster than most wired mice, as well as Logitech G’s revolutionary HERO sensor, capable of achieving next generation performance at 10 times the power efficiency of the previous generation of mice. With the Logitech G305, there is no reason to game with a leash. The Logitech G305 uses HERO the most advanced gaming sensor ever designed. HERO is incredibly power efficient, and provides exceptional responsiveness and accuracy, 400 IPS precision and sensitivity up to 12,000 DPI, with no acceleration or smoothing. Plus, with the ultra-fast LIGHTSPEED wireless technology included in the Logitech G305, you get a faster-than-wired gaming experience with a 1ms report rate, end-to-end optimized wireless connection, and incredible responsiveness and reliability for competition-level performance.